Looking for a free Angry Birds invitations? Make your kid happy! 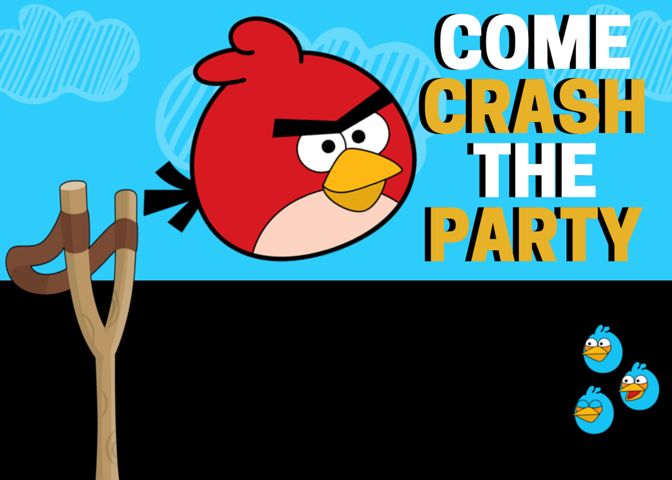 Throw an Angry Birds party. This post originally was posted on January 11, 2011 – during the midst of the first Angry Birds craze. Here we are in the summer of 2016 and Angry Birds are BACK, thanks to a new app – Angry Birds 2 and an Angry Birds movie! We’ve updated this post to include several FREE Angry Birds invitations. We have also included instruction on how you can easily personalize these. I love a good birthday party invitation. Confession: I have good intent, but my timing is always off so I can never put together personalized invites, plus I’m cheap. If your kid loves Angry Birds as much as mine do, throw a party and guess what – have I got a treat for you! Download one of these free customizable invites – your guests (and kid!) will love them. Just download the free printable party invite from the link below or by clicking on the invitation. 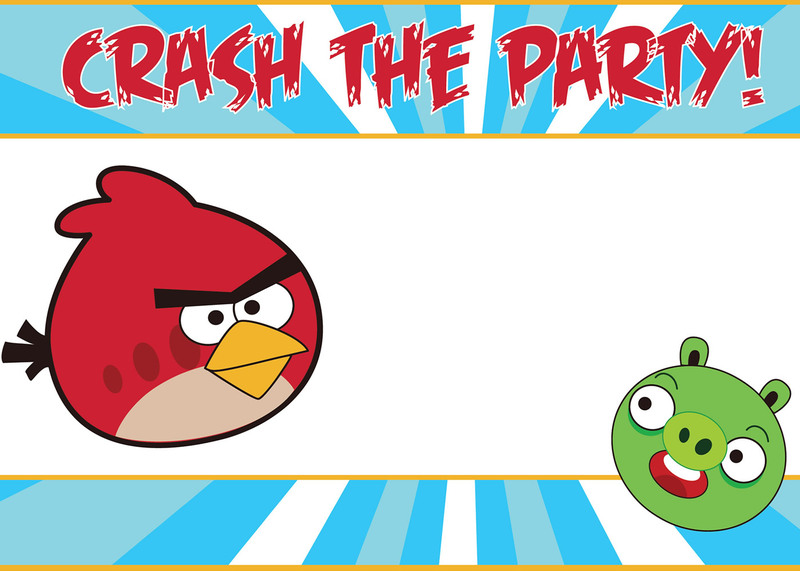 Print out the free Angry Bird printable invite (the size is 5×7), cut, and write in the party details. Or if you want, import into a PDF editor and fill in the details. You can customize these easily on Picmonkey! Just download the free Angry Birds invites. Go to Picmonkey and import the graphic. You can then customize these with your personal birthday party information. Then download and print. Super simple, FREE and personalized! How is that for simple, cheap and stylish? On top of that, you’ll have a happy kid! Everyone wins! 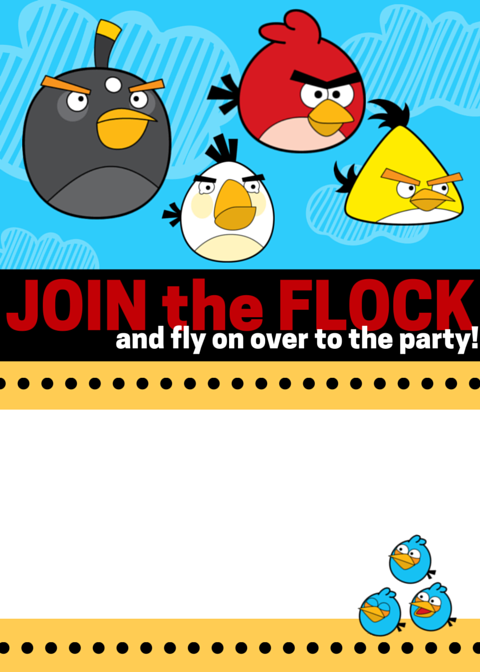 Download Your Free Angry Birds Invitations! You may need to right-click then save image – to save the printable invite. Sure thing! Happy to help! Just what I was looking for. You rock! Thank you! 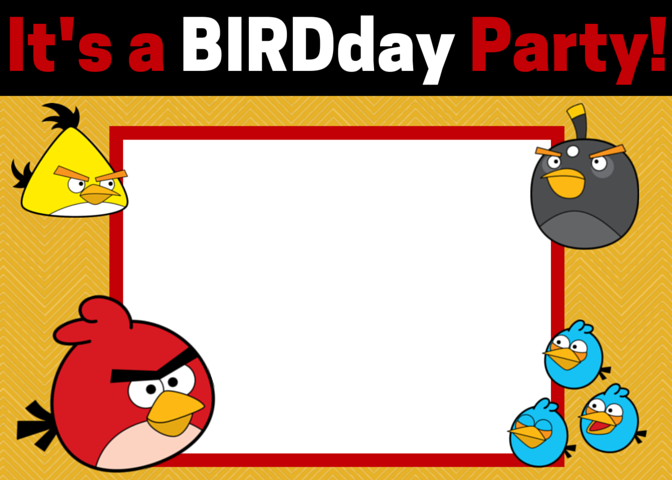 I recently made an Angry Birds birthday banner and coming across this will definitely help with my son’s party! Thank you so much! These turned out great! 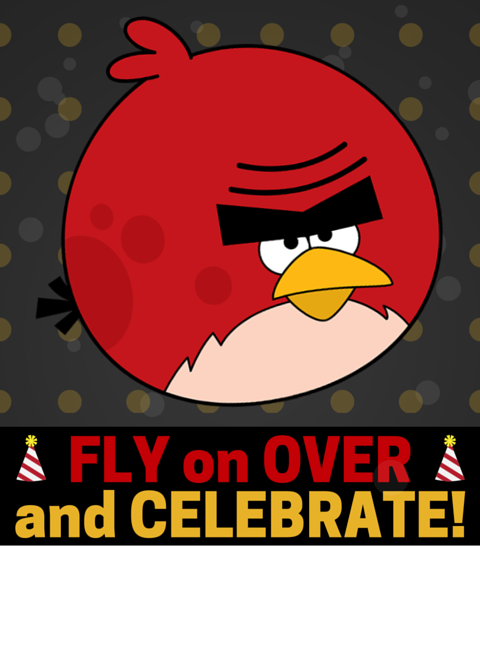 Just printed this off for my son who is turning 8, he loves angry birds and I was very impressed with the invitations. Thank you! Thank you so much…. this was a life saver for a last minute party!!! I printed your Angry Birds invites and they are perfect! My son loves them! Thanks so much! I am on on a MacBook pro and it isn’t opening, is it only for Windows? Thank you using this free pic for my son’s 7th birthday party! Saved the day. The store bought ones only had 8 invites and we had to add in 4 more at the last minute! Always love the ones you can type and print copies of compared to the ones you fill out by hand! Thank you Thank you Thank you. Having a hard time finding them at the stores and almost had to change birthday theme but thanks to you we didn’t have to. My son loves them and is soooo happy to have Angry Birds as his theme. Is there anyway to print the words on there using the computer. Too may to wrtie by hand? thank you – this made my sons day! just download it right now… i’m planning doing a party for my 5yr old son and this invitation is smooth! actually there is a nice sum up for the angry birds party idea at angry birds 365 website (i guess you know it if you’re angry birds fan).